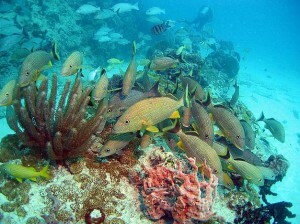 Dive today and join our Discover scuba Diving program. Only 4 hours course including your first dive in the caribbean. You will never forget your first time underwater. You maybe thought about doing this before but you never did it. Well, your Caribbean vacation is the best time to make your first dive. Do your friends or couple scuba dive and you always wonder how does it feel? it’s time for you to discover and share a dive with him / her. You can share the experience together. We teach you the basic things you need to learn to plunge into the water for the first time Your instructor will teach you in shallow water the skills needed to ensure that you are comfortable under water. Later on, your instructor will take you diving into the reef. It is an unforgettable experience that has changed many people lifes and will give you a passionate hobby to practice during your vacation. 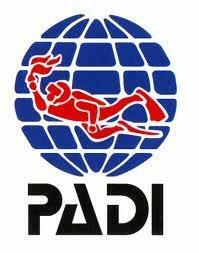 Get your Padi diving license. We offer diving courses all levels, from beginner to professional, we have almost two decades of experience in training divers behind us. In 2011, Padi association processed the 20 million license, Yes,you read it right, twenty million divers worldwide chose Padi. Definitely, it’s the one that offers a wider range of diving courses, the most internationally and acknowledged diving agency with the most modern training materials. But the most important is not the agency, it’s your scuba instructor. We have hundreds of students experience behind us, we trained divers for many years and we still do. Your safety comes first. In our diving courses we do our best to get you diving safely and independently, so you can face your next dives with ease and focusing on fun. OPEN WATER DIVER. Diving course which allows you to dive independently up to 45 ft deep.Training lasts three days. You will learn the diving theory, learn the diving techniques in shallow water and demonstrate your skills in four open water dives to complete your certification.All this in the perfect place: the Mexican Caribbean. ENRICHED AIR NITROX. Get your licence and stay longer.You can increase your bottom times limiting your exposure to nitrogen. The training consist on a theory lesson and a practical application: you learn to analyze your own EAN tanks and set your diving computer to dive in this mode. EAN dives are optional. The course lasts 4 hours. You will get the most out of your dives!